Oversized sweater: Express. leggings: Target. wedge booties: ALDO Shoes. 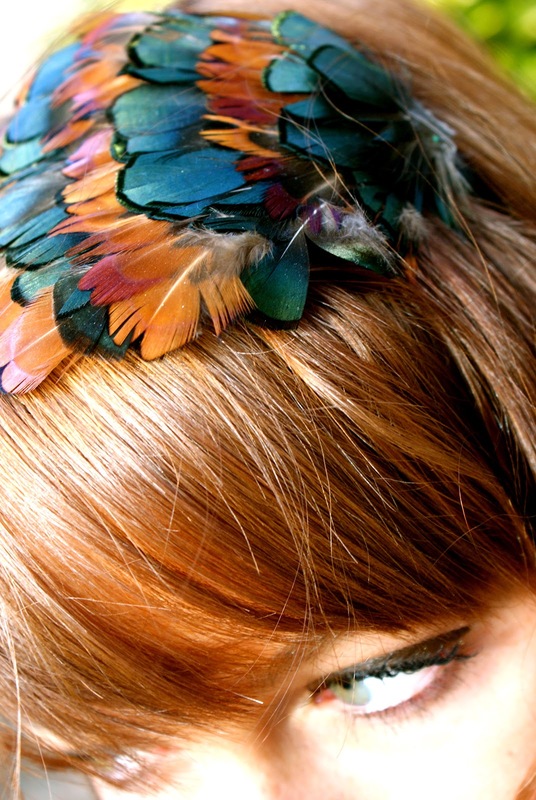 Turquoise bracelet and feather headband: boutique in San Diego. My sister snapped these photos around a year ago, however, this oversized sweater is still one of my favorite pieces because it's cute, comfy and versatile. It also looks great with jeans, however I usually take advantage of its longer length and pair it with leggings and either these adorable hidden wedge boots or tall black or brown leather boots! I also love this feather headband because it adds some color and warmth to the outfit without being over-the-top. I just LOVE the oversized trend and am so glad that looser-fitting clothing is in style as opposed to the super tight shirts of the 90's and early 2000's - yuck! Love the hair piece!! You look gogeous! I love that sweater and the headband is way too cool! thank you! I love pieces that are comfy but still stylish :) I will be sure to check out your blog! Love oversized sweaters!! They can look so effortlessly cool, yet remain comfortable! Exactly! And that is definitely a great thing as a college student :) thanks for your comment...I will be sure to check out your blog!